A lone tree in the backcountry path at the Ada Hayden park. 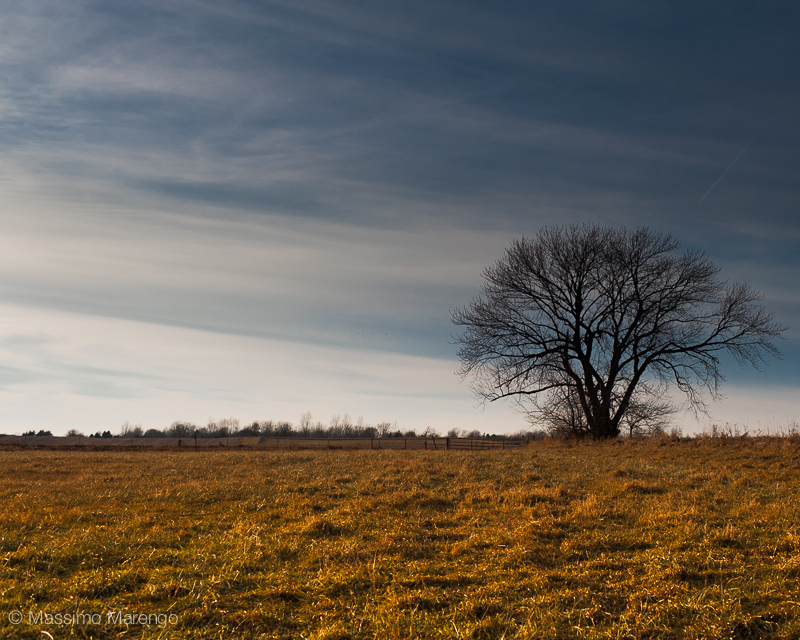 I took this image in late November 2010, a few years ago, when the tree was already past its fall foliage, and the tall grass was past its harvest time. The area around the lake is preserved as a native restore prairie grassland (the study of native Midwest grasses was the main topic of study of Ada Hayden herself). Note that despite being almost december there is no snow on the ground. This is not unusual in Ames, where it tends to snow late in winter. In fact since we arrived in Ames there have been several years where the weather was still exceptionally good through November, warm and sunny enough to stay outside, but without the excessive heat and humidity (and the scourge of mosquitos) that characterize summers in Iowa.